Hello all! My name is Mrs. M from Teach. Inspire. Change., and I just finished my first year teaching 7th and 8th grade ELA. Prior to junior high, I was a high school English teacher for four years. And in just this first year with middle school, I feel that I've truly found my home. Today, Sandy was kind enough to allow me to guest blog and share one of my favorite poetry activities with you! Thank you, Sandy! One of my most popular poetry activities to do with my students is what is called a "Found Poem." If you haven't heard of a found poem before, it is essentially what it sounds like! Students cut out words and phrases that they find and create a poem out of them! It's an extremely easy and exciting way to begin a unit - students are engaged right from the get-go. Before we even begin, I do not tell students precisely what we are doing (I've found that telling them that we are writing a poem stifles their creativity). I simply ask them to cut out about 40-50 words and phrases from magazines that are of interest to them. They can be anything of their choice - maybe they like the color or the font, or they find a phrase that "speaks" to them - it doesn't matter. I also let students know that they will need articles and conjunctions to help make this project "work." This activity is meant to be creative, so I really allow students a great deal of independence. I believe this was a Pottery Barn magazine. One of my Travel + Leisure magazines. Once students have "found" their words and phrases, I now tell them that we are writing a poem using JUST what they have found. They cannot add anything else to their poem; they may only use what they have cut out. It's meant to be fun and challenging! Have students arrange the words on their blank piece of paper. 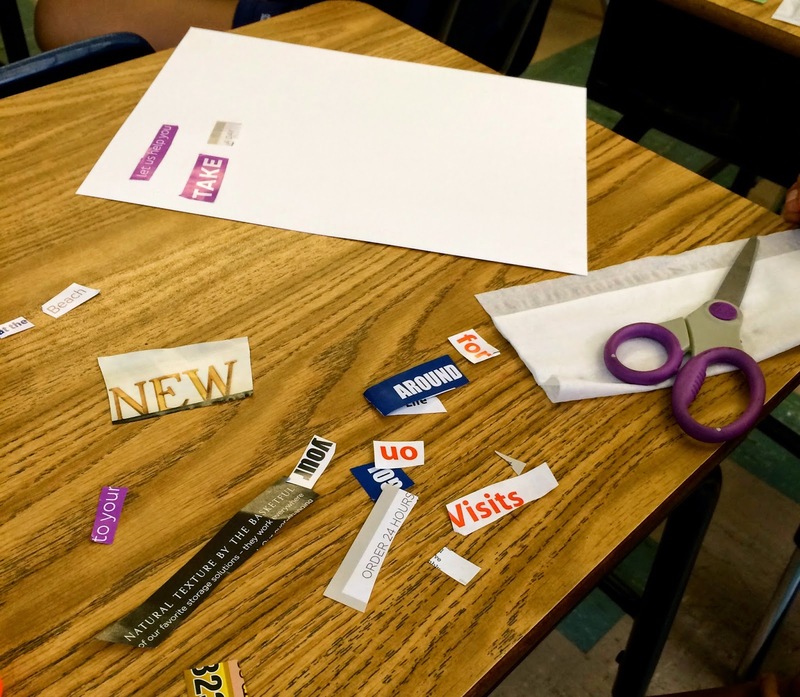 Students are not required to use all of the words that they have cut out, but I do request that my students use at least 30 words in their poems (otherwise, you might get poems that are only two words!). I allow another 45 minutes or so for this step of the activity. You can see their brains working as they begin to arrange phrases and thoughts on their computer paper. I just love it! 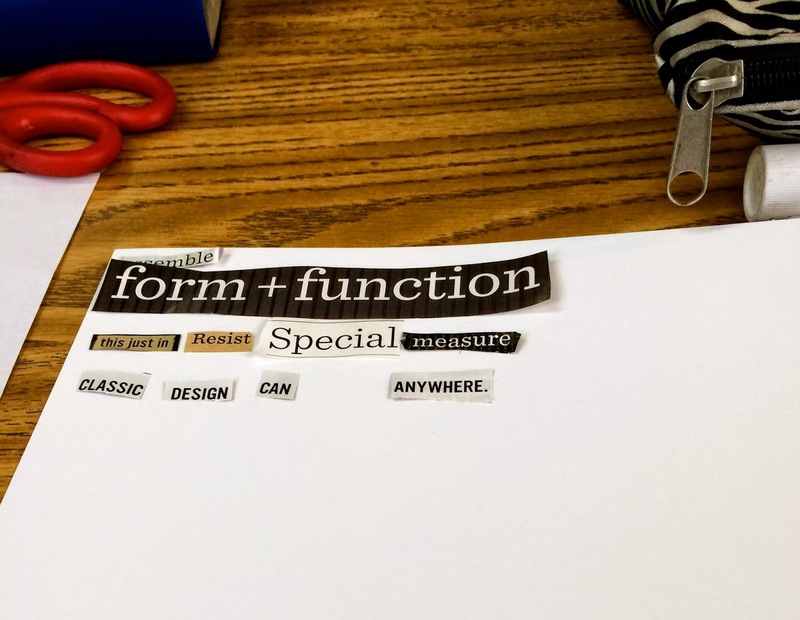 Once students have decided that they like the way their poem looks and sounds, they glue their words and phrases to the computer paper to create a final product! It is extremely interesting and darling to see what they come up with. You'll find yourself quite impressed by some of your students at the end of this project! 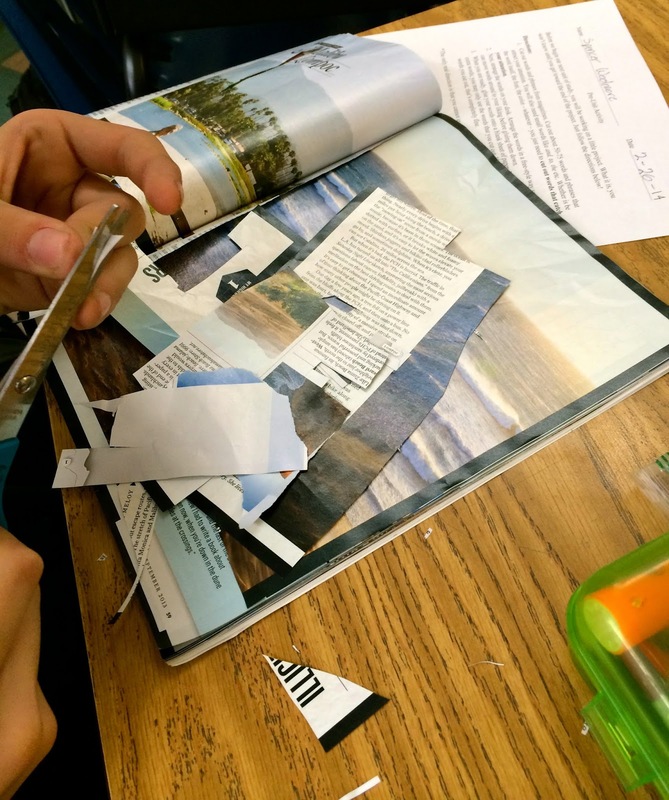 I think this student was mostly using one of my Ikea magazines. Can you tell? And this, my friends, was written by one of my quietest and most darling students. He, yes he, wrote about the "Sixteen trillion dollar woman." 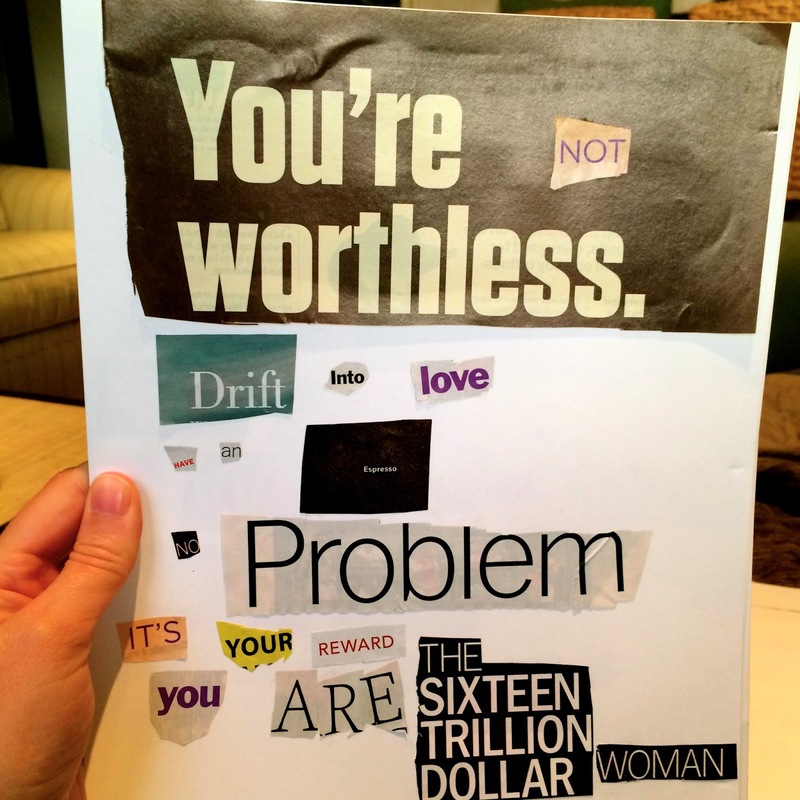 You are the sixteen trillion dollar woman. And that is precisely why I love teaching and why I love teaching poetry. What are some of your favorite poetry activities? I'd love to hear about them! Stop by Teach. Inspire. Change. anytime! I would love to "see" you there! Thank so much Mrs. M... What a great activity that I can't wait to use next year! Thank you for hosting me!! Such a fun project to do! Mrs. Mitchell I love this idea! I want to try it out with my 5th graders. They definitely need to be exposed to poetry and find their inner creativeness too. Thanks for sharing! Oh and the "Sixteen Trillion Dollar Woman" poem is awesome!